Our team of structural engineers often work in conjunction with our civil engineering team in the design of civil engineering structures such as retaining walls, holding tanks, culverts and headwalls. Highway structures such as retaining walls and bridges are also required and must be designed to the rigorous highway design standards for adoption by the local authorities. Met Engineers can design above and below ground concrete tanks by utilising Finite Element Analysis of a 3D model to optimise placement of rebar, minimising cost whilst ensuring the tank remains water tight. Our Structural Engineers must work in conjunction with our civils team to ensure both the hydraulic and structural requirements are achieved. When re-modelling a steep sloping site, retaining walls are occasionally used to maximise the developable area. 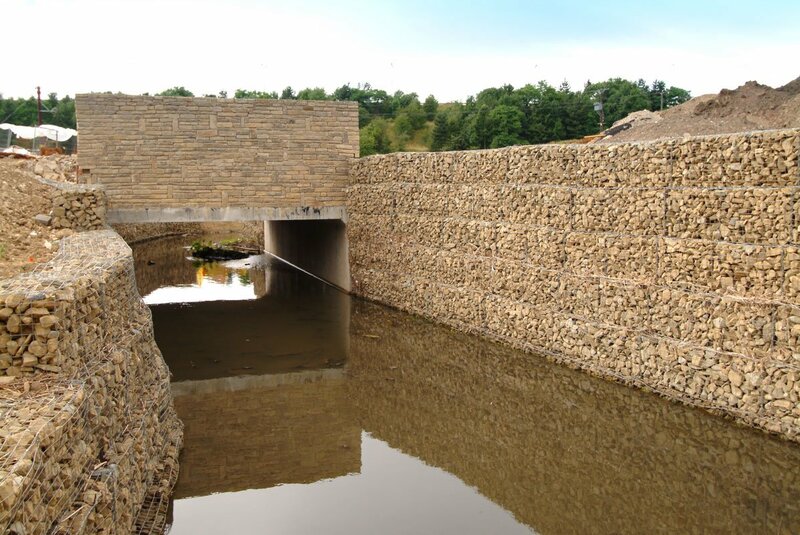 A variety of retaining walls types can be used to optimise cost and robustness. Highway retaining structures are designed to suit the requirements of the local authority and highway standards, which differ from normal codes of practise. Our structural engineers regularly work with various authorities to quickly agree wall designs, ensuring a standard which will allow adoption by the authority.